powerbank toast, full of goodness! There was a variety of items at the breakfast bar, but nothing quite caught my fancy in the LA mornings like Smuckers Peanut Butter with Banana on a toast. What a treat – so awesome! P.S. 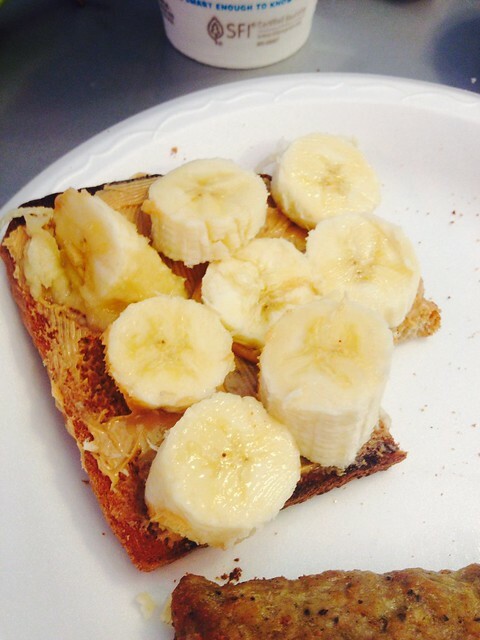 Shyh doesn’t like: bread, peanut butter, banana (perhaps the last one is more neutral). This entry was posted in United States and tagged Breakfast, Food, LA. Bookmark the permalink.